A short note - no more than 250 words - gives the context for each Sunday's scripture readings in the Roman Catholic Lectionary – who, why, and for whom. This volume contains notes for the Sundays and principal feasts in Year A from Trinity to Christ the King. Subsequent volumes with notes for Years B and C, will be published just before each half-year. The notes may be freely reproduced in parish newsletters. Since the introduction of the revised Lectionary after Vatican II there are three readings from Scripture during each Sunday Mass. These are normally from the Old Testament, the New Testament, and one of the Gospels. This book contains a short note on the context of these Scripture readings - the when, why, how, where, who by and who for. It is hoped that this will help hearers better understand what they are hearing. The notes are based on a wide range of Bible commentaries and several translations. While Catholics may be fairly familiar with the Gospels, most are unfamiliar with the Old Testament, which was never read during Sunday Mass before Vatican II. And many priests, perhaps also less knowledgeable about the Old Testament, continue to base their homilies mostly on the New Testament readings, especially the Gospel. So the significance of the first reading, which always relates to that day's Gospel, may be missed. The second readings, from the New Testament, would also often benefit from being placed in context. There are many examples where being aware of why Paul was writing, or what came before or after the excerpt being read, can help the hearer to make more sense of the reading. Even with the Gospels, apparently so familiar, some indication of what has gone before, or of the writer’s community, can aid understanding. 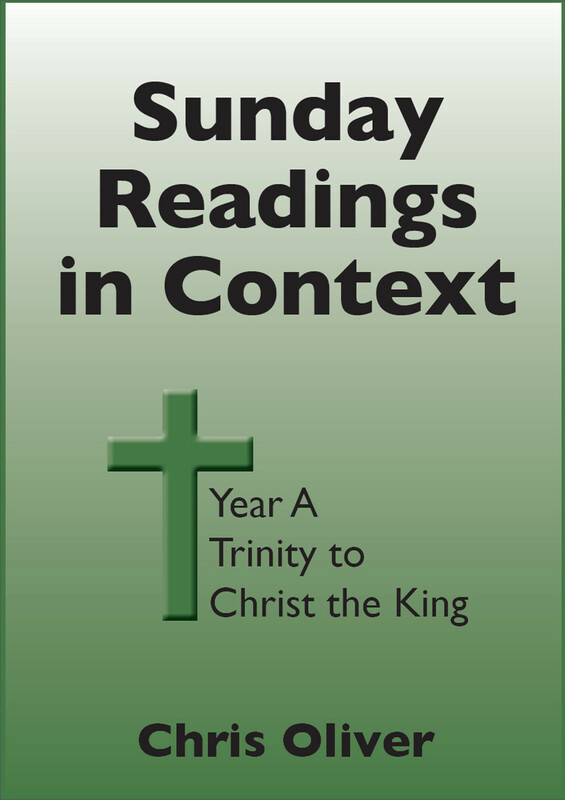 Each note covers all three of the readings for that Sunday, and is less than 250 words. It may therefore be suitable for inclusion in a church newsletter, and may be used freely in that way without prior permission being required from the author. The notes do not seek to draw lessons from the readings, which is the task of the homilist. This book covers the Sundays and Principal Feast Days of the second part of Year A, from Trinity to Christ the King. Books for Years B and C will follow in due course. Appendices indicate when Feast Days take precedence over normal Sundays, which differs in some countries.